Lunahuana is not exactly on the Peruvian tourist map compared to world-famous Cuzco, Arequipa and Lake Titicaca—but it should be. I didn’t know about it when I planned this trip through southwest Peru: I was on my way to Huacachina, the country’s sandboarding capital, when I met some locals who convinced me to take a slight detour. I crossed paths with Jose and Juan Pablo at a hostel during my travels, and they invited me along to Lunahuana to visit their tourism project, La Confianza. La Confianza, nestled at the bend of the River. These days, Lunahuana ought to be more recognized as an adventure hub: whitewater rafting (class IV rapids), trekking, ziplining, mountain biking and paragliding enthusiasts are sure to find their fix here. Noticing the uncharted tourist territory a few years ago, Jose and Juan Pablo set up La Confianza, a collection of cozy eco-bungalows in a century-old vineyard and bodega. “This is where they used to distill the pisco,” Juan Pablo told me, as we walked into the newly converted lobby and rustic bar. The stone-walled interior maintains aspects of the original architecture. “We wanted to keep as much of the tradition as possible.” To that end, La Confianza is the original bodega’s name from 1908. A bodega is a winery that distills pisco, Peru’s famous and potent colourless brandy made from fermented grape juice. Spanish conquistadors planted the first vineyards in Peru in the 16th century using vines they brought from Europe in the hopes of making wine. They discovered pisco when trying to recreate Spanish brandy in the 17th century. To this day, the property is surrounded by vineyards growing uvina grapes, unique to this area. Inviting hammocks with valley views surround a lush garden full of avocado and mandarin trees. The ground here is so fertile, their dog (aptly named) Pisco buries fallen avocados to let them ripen, then forgets about them; before they know it, another tree sprouts effortlessly. In the vein of cultural research, we wasted no time in heading to La Confianza’s bar and restaurant where they produce small quantities of pisco and experiment with macerated and flavoured concoctions. I tried my hand at sipping their rare flavours, such as cherry, coffee, cinnamon, guava and fennel pisco. Lima beans, orange peels and eucalyptus leaves: just some of the flavours on display. “You have to try this one,” Jose said, handing me another drink. The eucalyptus-flavoured pisco mixed with ginger ale was my favourite, especially alongside grilled shrimp and trout caught from the nearby river. If you want to go with a classic, I suggest the pisco sour, a cocktail prepared with egg white, lime juice, syrup and bitters. It tastes even better paired with typical Peruvian dishes like ceviche (raw fish cooked with lemon) or lomo saltado (beef and potato stir-fry). In 2015, a pisco trail was established in Lunahuana to honour its significant contribution to the history of the national drink and to encourage day tripping to the nearby bodegas—a day well-spent, if you ask me. 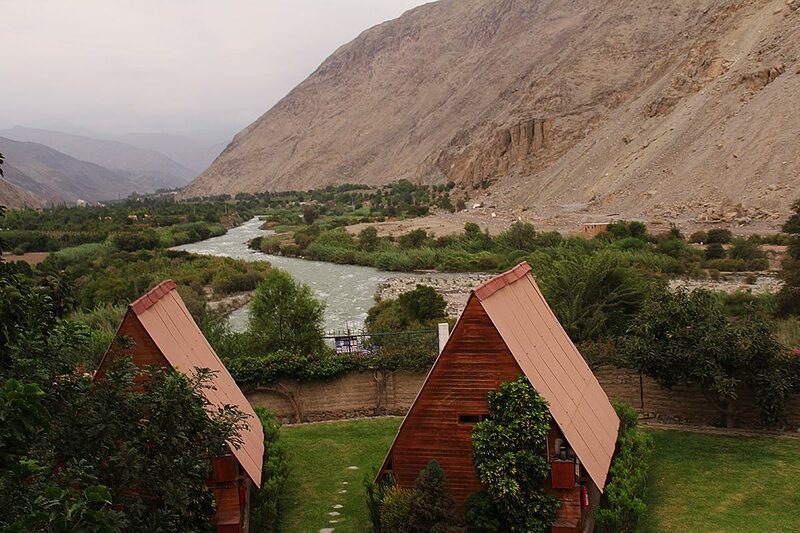 There are four other trails in the country, found in other coastal valley regions favourable to pisco production. 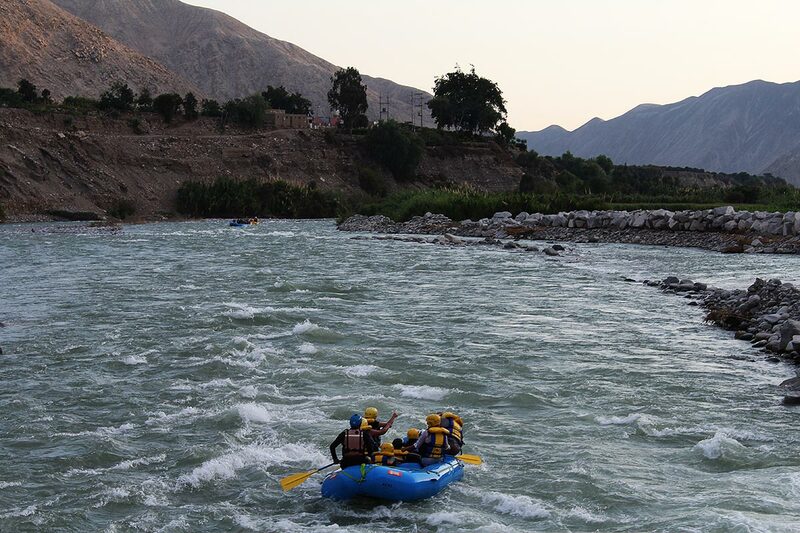 Nothing works up a thirst like whitewater rafting in the Cañete River. Feeling happily full and slightly merry, we walked down the road to a functioning bodega, Reyna de Lunahuana. 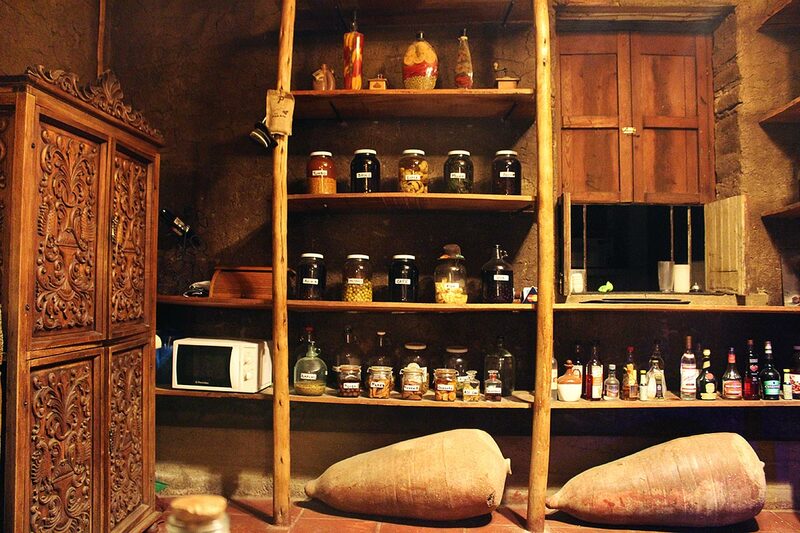 They distill in a traditional and organic way, without using motors or chemicals, and store pisco in clay pots. If you visit in March, I hear you can even join in the barefoot grape-stomping party. Through an interactive demonstration, we learned more about the pisco-making process—grapes are sorted and pressed, the juice is fermented and distilled with the aid of a heat source, the alcohol vapour is condensed in copper pipes and, finally, the pisco is aged and bottled. The theoretical lesson was, of course, followed by a more practical one. After some more pisco sampling, Jose and Juan Pablo turned to me and announced they had one more surprise. Now, I realize it’s not the best idea in the world to follow a day of alcohol sampling by clipping oneself onto a cable with a carabiner and soaring above a valley at alarmingly high speeds. 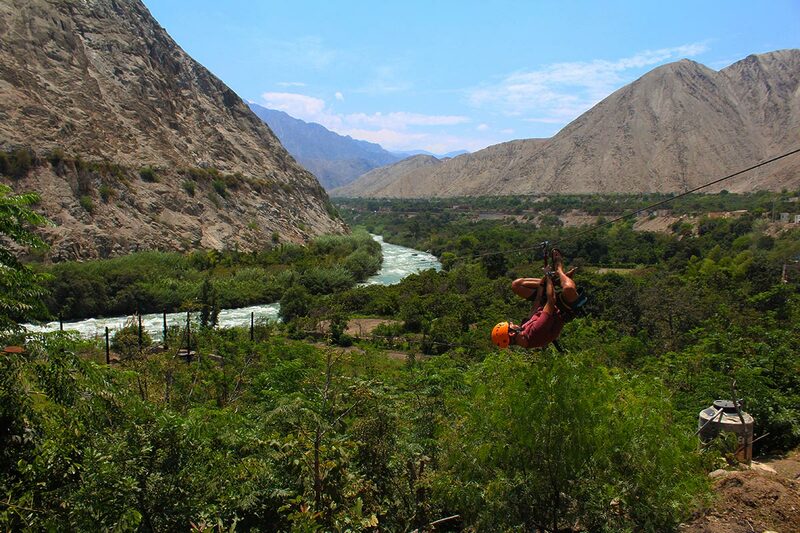 But having said that, it turns out ziplining on a whim across Lunahuana really was the perfect way to end this trip. After all, from my first steps here, it was always about going with the flow.